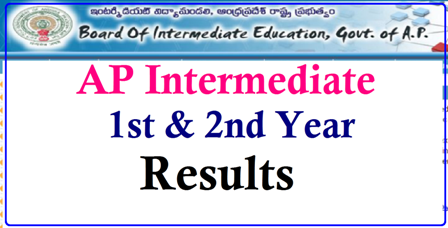 AP Inter First Year Results 2019 in the month of April. The valuation of intermediate papers for 1st year are started and almost over as per the information by Intermediate board. The valuation was carried in different districts and the inter 1st year marks are getting collected simultaneously. The valuation of results is a very complex process, where an intense experienced people can only design. After Intermediate 1st year Exams students answer sheets are collected at different districts and send to Main centre located at Vijaywada. The answer sheet consits of a bar code which is distinct and endorse to particular hallticket number of student. Thus by getting a bar code inter board can easily get the student details. All the collected Answer sheets are bifurcated among different valuation centers in 13 districts of Andhrapradesh and those details are highly confidential. Even the board people don't know which parcel has dispatched which district. Before sending the Inter answer sheets the top paper is torn where the Hallticket number is written by the student.